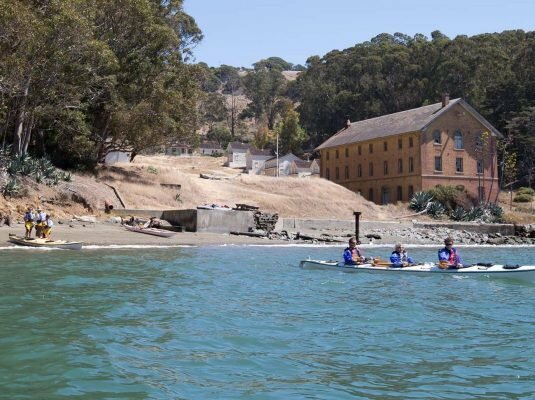 Angel Island can be reached from San Francisco or Tiburon by ferry. 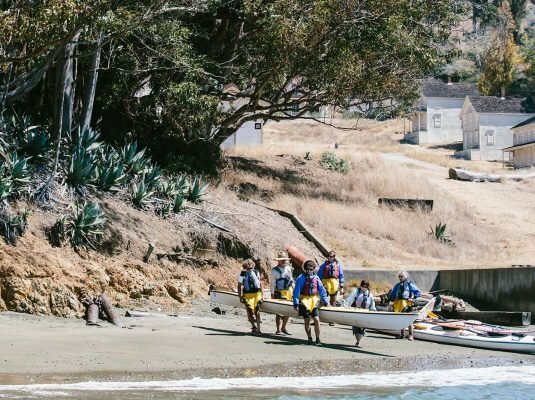 Sea Trek’s guides meet you on the island, and bring over a collection of kayaks, paddles, and life vests. Once your group gets there, you can jump in our kayaks and begin paddling around the island, or start with other activities, like hiking, picnicking, or riding a bike on the island. Whatever the schedule ends up being, our guides are there to help you pull it off. 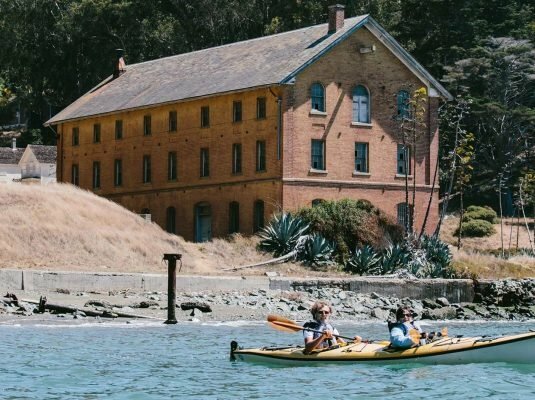 Great views, sandy beaches, and inviting wilderness abound on Angel Island. 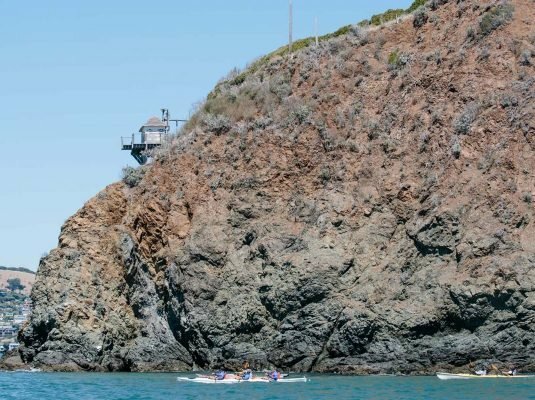 Make your class trip a full-day excursion and have everyone bring lunch, or call Angel Island Catering Company to arrange for a delicious lunch to be delivered to your group’s picnic site.